Sunbiggin Tarn is a relatively large body of water situated alongside the minor Raisebeck to Whygill Head road as it cross Tarn Moor in the Orton Fells. 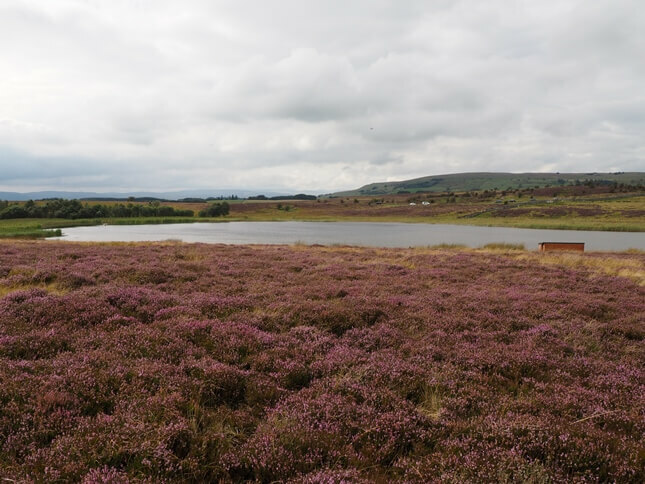 Sunbiggin Tarn and the surrounding moorland are a designated Site of Special Scientific Interest (SSSI). 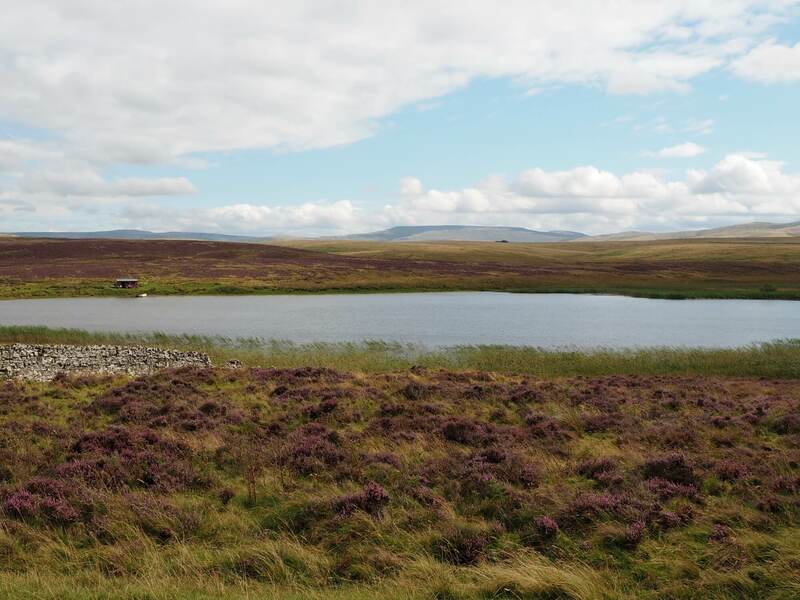 The tarn is a popular place for migrating birds and is also home to a long list of resident species. It is also apparently one of only three places in the UK where you can find the rare sandbowl snail. Of all the tarns listed in this section it is one of the easiest one to visit as there are plenty of roadside parking spaces by the tarn. 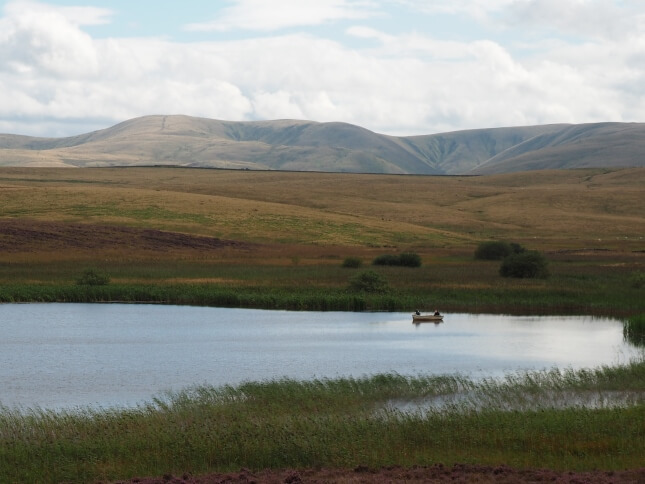 I’ve now visited the tarn twice, both times using it as a starting point for walks in to the Orton Fells. 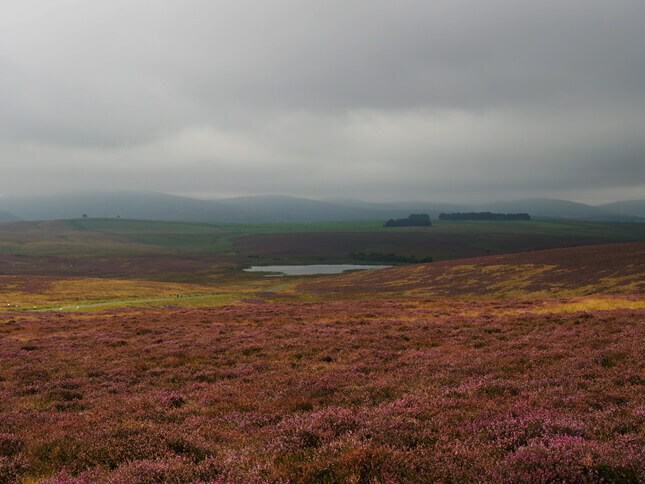 Both times I’ve visited it has also been August where the surrounding heather has been in bloom. It is a lovely sight. Rather more unusually, on my last visit, a family who presumably own the surrounding land were enjoying a barbecue at the small hut on the opposite side of the tarn to the road. At the same time a couple of people were doing a bit of boating on the small lake.